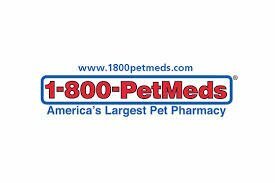 Petmed Express Inc (NASD:PETS), a promising pet pharmacy doing business as 1-800-PetMeds, is one of the stocks in my portfolio added earlier this year. Their next annual meeting is June 27, 2014. ProxyDemocracy.org had collected the votes of one fund when I checked and voted on 7/20/2014. I voted with the Board’s recommendations 78% of the time and assigned them a proxy score of 78. View Proxy Statement. Would it bust their budget to add a hyperlinked table of contents? Read Warnings below. What follows are my recommendations on how to vote the MDVN proxy in order to enhance corporate governance and long-term value. From Yahoo! Finance: PetMed Express, Inc.’s ISS Governance QuickScore as of Jul 1, 2015 is 4. The pillar scores are Audit: 2; Board: 7; Shareholder Rights: 3; Compensation: 5. Brought to you by Institutional Shareholder Services (ISS). Scores range from “1” (low governance risk) to “10” (higher governance risk). Each of the pillar scores for Audit, Board, Shareholder Rights and Compensation, are based on specific company disclosures. That gives us a quick idea of where to focus: Board and Compensation. Petmed Express’ Summary Compensation Table (page 28) shows the highest paid named executive officer (NEO) was CEO Menderes Akdag at about $772,000. I’m using Yahoo! Finance to determine market cap ($347M) and Wikipedia’s rule of thumb regarding classification. PetMed Express is a small-cap company. According to Equilar (page 6), the median CEO compensation at small-cap corporations was $2.7 million in 2012, so PetMed Express’ pay is below that. PetMed Express shares outperformed the NASDAQ over the most recent one year period but underperformed for the most recent two, five and ten year periods. Because pay was substantially below median and despite the problems noted by GMIAnalyst, I voted in favor of the pay package. I voted to ratify the PetMed Express auditor, being unaware of any potential conflicts of interest. I voted against the Board’s proposals to award specified restricted stock. Although I haven’t substantively analyzed the plans in relation to outstanding stock, the amount appear high to me. There is still time before the meeting to convince me otherwise if I see reasonable analysis. Special meetings can only be called by shareholders holding not less than 20% of the voting power. Supermajority vote requirement (66.67%) to amend certain bylaw provisions. Proposals that stockholders wish to be included in next year’s proxy statement for the annual meeting of stockholders to be held in 2016 must be received at the Company’s principal place of business at 1441 S.W. 29th Avenue, Pompano Beach, FL 33069, addressed to the Corporate Secretary’s attention, no later than February 12, 2016.